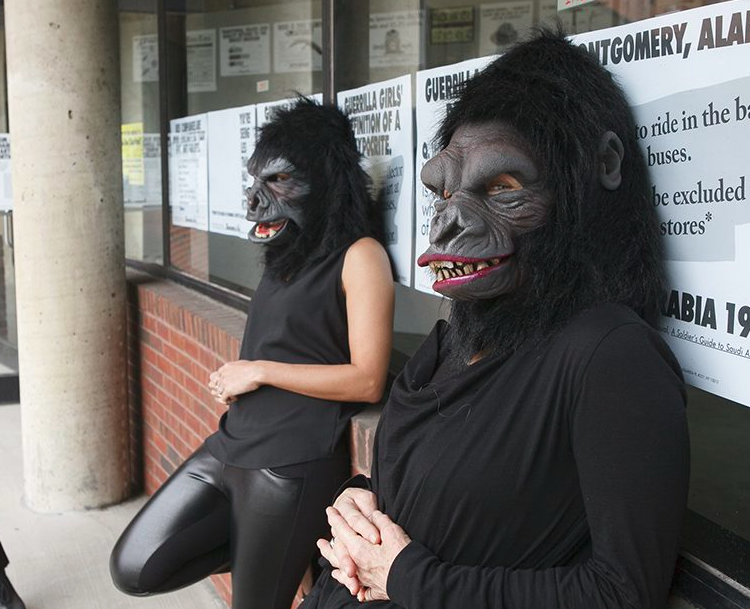 Feminist art collective Guerrilla Girls, who turned 30 last year, will have their first ever UK show. The exhibition will take place at the Whitechapel Gallery. As part of the show, the collective will send a questionnaire to over 400 European museum directors which asks the directors to answer questions on the amount of women artists, gender non-conforming or artists from Africa, Asia and South America within their respective institutions. The show will also feature works from the Guerrilla Girls 30 year career. As part of the Tate Exchange project, the collective will also take part in a public project at the Tate Modern, an institution the Guerrilla Girls have criticised for their lack of female representation. Is It Even Worse in Europe will be at the Whitechapel Gallery, London from 1st October 2016 -5th March 2017. For more information, see here.